Diabetic ketoacidosis (DKA) is a medical emergency requiring hospital admission and treatment which essentially consists of fluid, insulin and electrolyte replacement as indicated by a plethora of local and national guidance. The causes of DKA are also usually clear including intercurrent illness and insulin omission. In view of this, results from the 2014 national survey of DKA treatment does raise concerns. The survey from all specialist teams on 5 consecutive patients shows significant variability of care, varying from length of time before treatment was initiated to the time until the DKA had resolved. Of concern was the number of patients developing DKA whilst in hospital (7.8%) and the number of complications encountered during treatment including hypoglycaemia (27.6%) and hypokalaemia (55%). Although most patients were not seen by members of the diabetes specialist team within 6 hours of admission, 95% were seen before discharge. Overall, it is one thing to develop nationally accepted guidelines but another to implement them without which length of stay and risk to patients can be increased. Rolling education programs for junior doctors and nurses would be one way to address this. 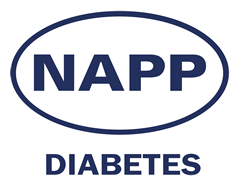 DPP-4 inhibitors (gliptins) have gained rapid acceptance into guidelines for treating hyperglycaemia as a second line agent. Their advantages are obvious, lowering HbA1c without the negatives of weight gain or hypoglycaemia. However, as the companies produce their CV safety studies, concerns have been raised regarding a possible link to heart failure. In particular, the SAVOR-TIMI study suggested an increased admission rate for patients on Saxagliptin with heart failure although this was not shown in both the EXAMINE (Alogliptin) and TECOS (Sitagliptin) studies. The issue of heart failure was examined in more detail in this systematic review of 55 studies. Whilst the review acknowledged the variability of many of these studies, including the fact that the majority were pharmaceutically funded and that there is a bias to the larger studies listed above, both randomised controlled trials and observational studies suggest that these drugs may increase the risk of hospital admission for heart failure. These patients tended to have pre-existing cardiovascular disease or multiple risk factors for it. Whilst neither the FDA or EMA have recommended that the drugs are prescribed according to license, the potential risk is worth bearing in mind as treatment is individualised. The place of pioglitazone in the management of type 2 diabetes remains uncertain. New initiations have reduced for several reasons. First, there was collateral damage caused by the withdrawal of rosiglitazone due to controversy regarding an increased risk of myocardial infection. This occurred despite there being positive cardiovascular (CV) data for pioglitazone (from the PROACTIVE study) and has not reversed by the FDA changing its mind and giving rosiglitazone a clean bill of CV health. Then there are the class-specific adverse effects of glitazones; weight gain, partly due to fluid retention which can lead to congestive cardiac failure and increased risk of bony fractures. Finally, there was a scare concerning bladder cancer, leading to withdrawal of piogitazone in France but which now seems to have dissipated following long-term prospective follow-up of the Kaiser-Permanente insurance data-base. This study showed that in a non-diabetic population affected by cerebrovascular disease, pioglitazone reduced the risk of vascular outcomes, consistent with insulin resistance an underlying risk factor (the original selling point of glitazones). Interesting data but I suspect the damage has been done and this study will have little impact on prescribing. The ACCORD study was published in 2008 and had a major impact on how we manage patients with type 2 diabetes (T2DM). Prior to ACCORD, glycaemic targets were tighter in patients with evidence of large vessel complications. All this changed when ACCORD was ended prematurely, having found an increase in cardiovascular and all-cause mortality. 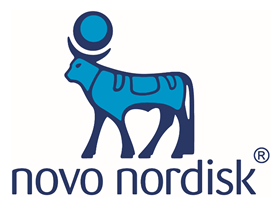 Along with two other studies, showing no CV benefit from tighter glucose control, it created a nihilistic view of glucose management (to the delight of cardiologists) and led to relaxation of the HbA1c target in the GMS contract from 7.0% to 7.5% (53 to 58mmol/mol). Long-term follow-up of the UKPDS, suggesting a CV benefit of tight control from diagnosis of T2DM, somewhat tempered this view but large vessel disease is now a reason for relaxing rather than tightening glucose targets. ACCORDIAN is the 4-year follow-up of 8,601 (98%) of the original ACCORD cohort and reports that a mean of 3.7 years intensive glycemic control had a neutral effect on death and nonfatal cardiovascular events but increased cardiovascular-related death. So, a bit less negative, but still bad news and no reason to change current practice. Statins for people with type 1 diabetes: when should treatment start? This review highlights the paucity of data concerning lipid lowering in type 1 diabetes (T1DM), contrasting the massive evidence base showing the benefit in T2DM. It criticises guidelines from 2014 recommending expansion of the number of T1DM patients for whom statins may be prescribed. These are NICE clinical guideline 181, suggesting all adults with T1DM should be considered for statins and Joint British Societies’ consensus recommendations (JBS3) implying that all patients aged over 30 years be treated. The use of atorvastatin 20mg is also contested on the basis that simvastatin was used in the trials. Whilst technically correct, I feel the article is over-zealous. Benefits of statins in T1DM recruits in trials are of similar magnitude to those in T2DM, albeit non-significant due to smaller numbers. 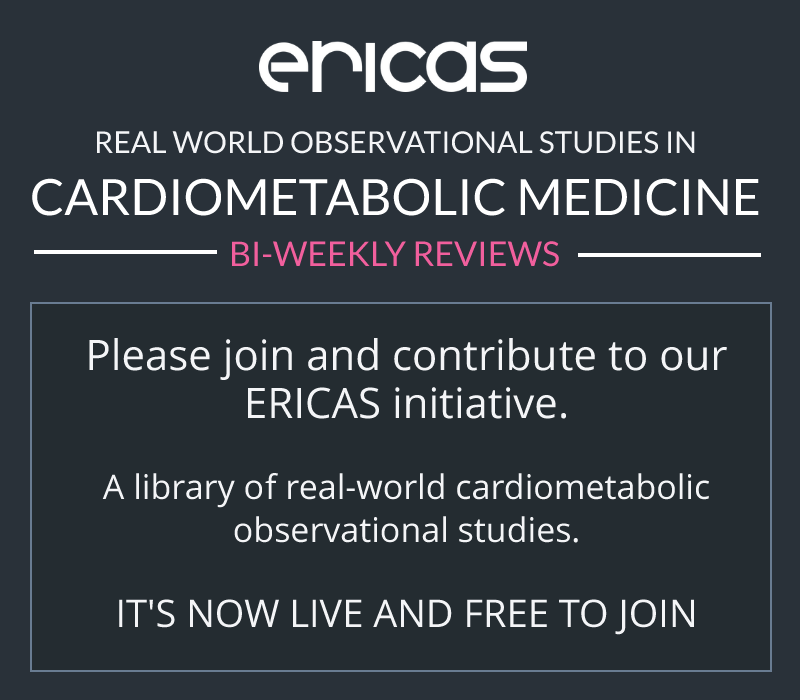 Most would accept that CV benefits of statins are a class-effect, so why not use a potent one? And, if (as is proposed) all patients aged 40 years are treated, why not intervene in the progressive atherosclerotic process earlier? If I was a T1DM patient, I think I would like to have that as an option.